Overview of problem area for runners. Surprisingly so hamstrings and glutes are neglected in endurance running. Sprints and speed are better. We need those strong! The tendency is to become quad and calf dependent. Developing that J’Lo booty isn’t the final result, but hey why not. Strong glutes and hamstrings keep your knees, Achilles and feet so much happier. Nice article here. Squats are king and queen! Marathon – Oh how you tease and torment! 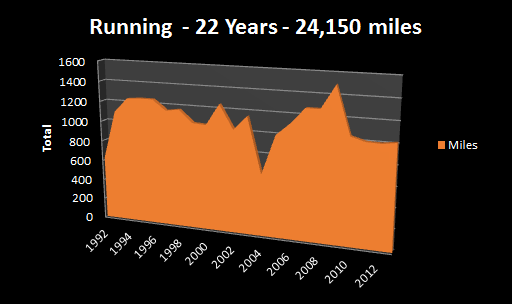 Still coming off the high and the low of my 25th Marathon – almost at 50 total ultra (1), mara (25) and 1/2s (19) since 1994. 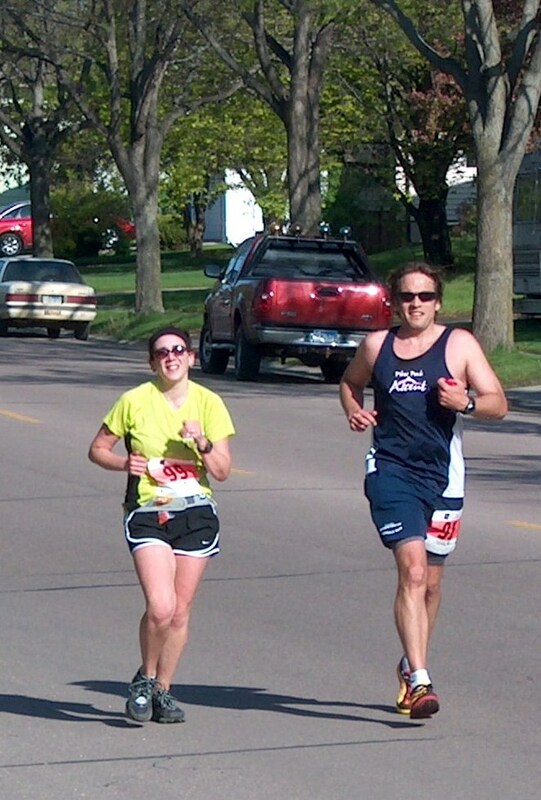 As shared last week in the Lincoln Marathon Recap the 4:28 was the 7th out of 9 for Lincoln marathon times. It was better than 2006 and 2009, close to 2003 but slower than the 90s and 2010/11. The last Lincoln in 2011 was (4:00:16) which, while not all time marathon PR best in terms of distance from Boston Qualifier. That gap, gives a concrete “how far away” am I assessment. In 1996 the qualifying standard for a 31-year-old male was 3:05 – so 50 minutes off. 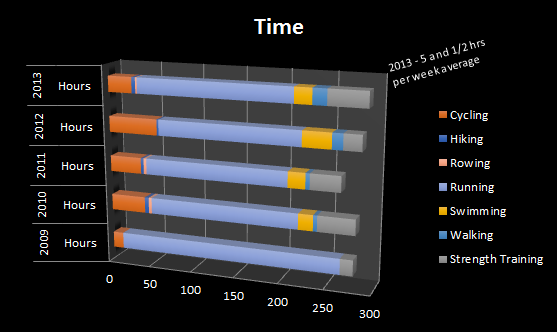 In 2011 the standard for a 46-year-old male was 3:30 – so 30 minutes off (before that dratted 2012 change). So, as you can see I’m not a BQ type guy. As I shared on other posts I’m a grinder, mid-packer and occasional trophy sniffer. 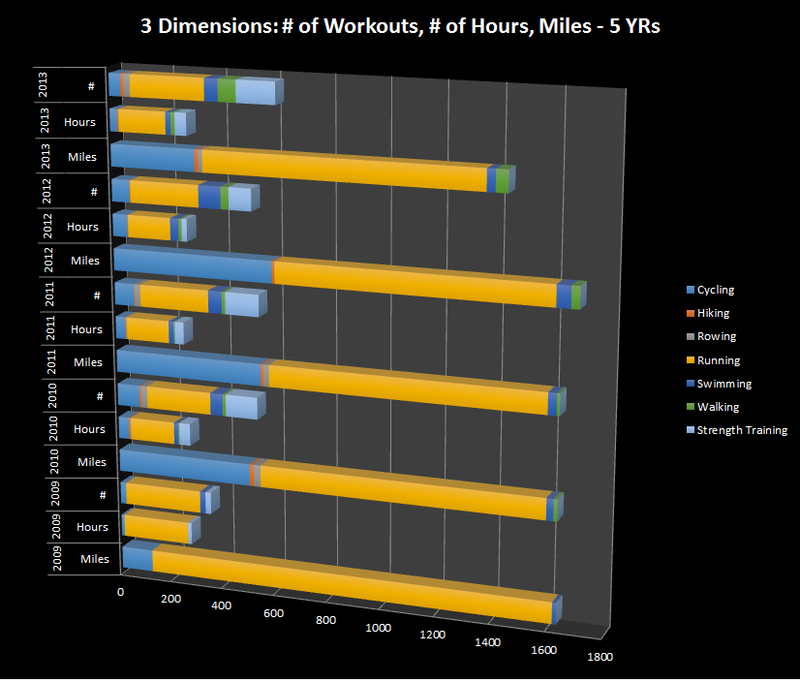 I tore through my body through years of ho-hum endurance training (enjoying it a lot when healthy) and discovered structured, progressive, random strength programming in late 2009. The results of STRENGTH + ENDURANCE = PRs. And perhaps a long shot with a perfect storm of a BQ. in 2012 I was disconnected from a CrossFit box and structured programming. There’s a raging debate on the blog-o-sphere and web land about how structured that programming is. I’ve benefited from some great training at three different boxes and structure (so Black Box and Starting Strength programming to level out the ‘randomness’). So what? What are you going do now? STRENGTH. Will strip away some of the intense chipper and limit my AMRAPs. 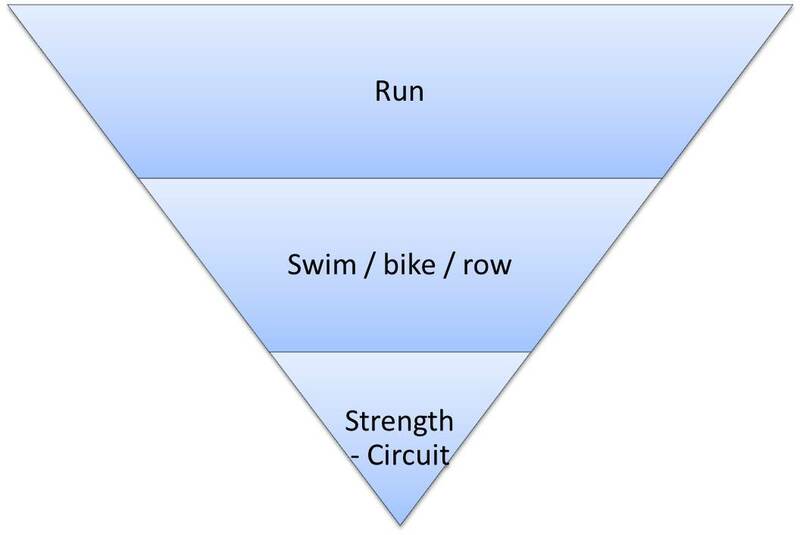 I need time and recovery for an aggressive swim/bike/run (s/b/r) schedule. Metcons are not suitable substitutions – they have their place. I’ve learned that let the high intensity intervals stand on their own (whether in the pool, on a bike or running on a trail). I’ll head back to the Y for some work following a lighter version of Mark Rippetoe’s Starting Strength, punch card at CrossFit and take my strength on the road within the RLRF speed. I’m forgoing some exercises for now – sumo deadlift high pulls, box jumps (steps instead) and snatches while focusing on squats, strict pull ups, squats, bench, squats, push ups, squats, swings, squats, lunges, squats-thrusters, toes-to-bar, squats – see trend. SQUATs, loaded, unloaded, my life! OTHER. Kick in the s/b of the s/b/r – have great swim and bike workouts ready. On those 105 degree days, a pool or bike beats the foot path! 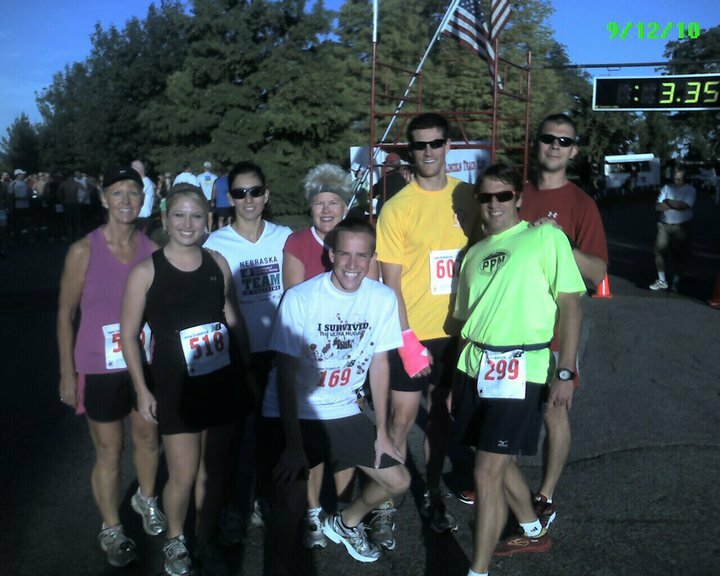 I’m scribing my results daily at Garmin Connect (feel free to connect) and will summarize here and for group stuff on my favorite local group – Freaky Fast Runners. 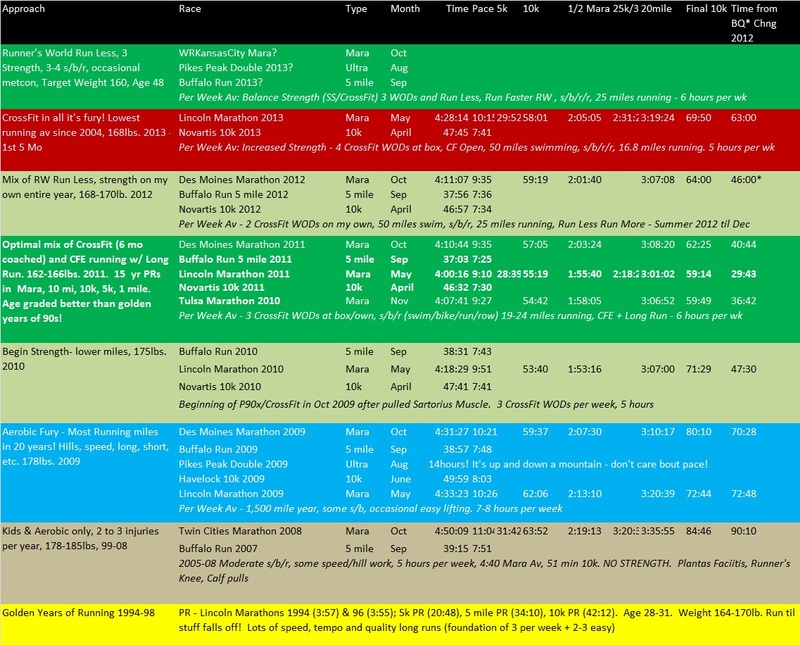 Details of training, with anchors for Marathon, 5 mile and 10k are shared in the table below. Think about doing the same for yourself. Include similar races, same course each year. It helps a ton in giving you an apples to apples comparison of the only contest that matters – you against yourself and time (real and father). One of the things I haven’t appreciated in the mood swings and debates on strength/endurance/combo or right “approach” is lack of transparency. with this summary below – ok this very detailed table screaming for 15 pie charts – below – double click on the “jpg” and it will expand! If I were making this up the times would be MUCH faster! Angie is a nice, no sense workout that requires minimal equipment (pull up bar). This heart pounder involves 100 continuous reps of pull-ups, push ups, squats (air) and situps. I took my first pass at a Droid recording and subsequent Power Director video edits. So my disclaimer, this ain’t polished. Of benefit in reviewing this is my breakdown in form on push up (not perfect chest to ground, but it was outside on partial snow, so chilly!) and my buns didn’t go low enough on squats. The second one, squats, have been a struggle, yet important and beneficial one to correct, of mine the last four weeks since beginning CrossFit. They’re improving. But still not to full CrossFit range of motion standard. 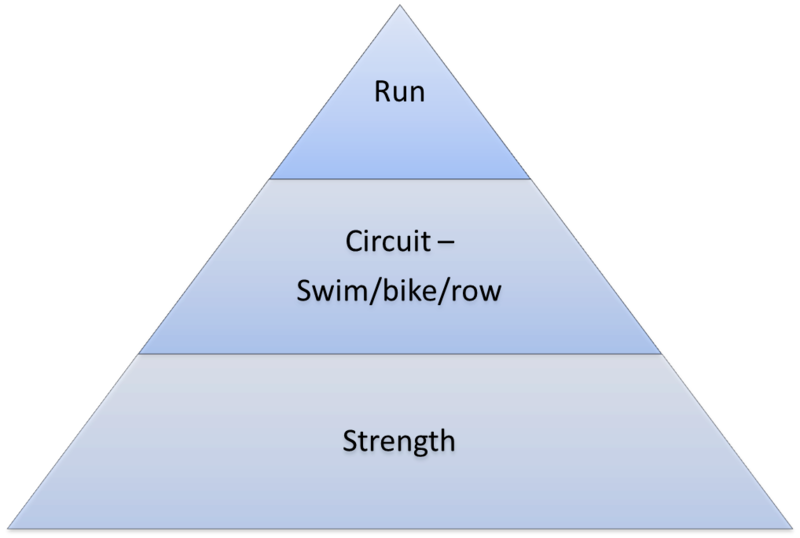 Meeting that standard ensures improved triathlon performance as well!